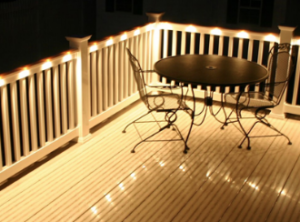 At Phoenix, we make beautiful, durable and strong railing systems for decks, balconies and porches. 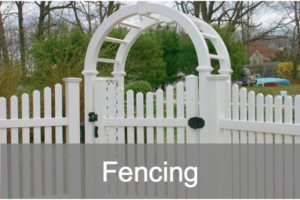 We go beyond the ordinary and take railings to a higher level by providing quality products with limitless design styles. 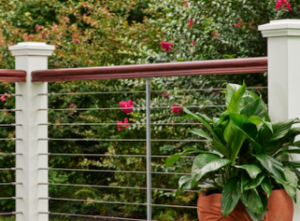 With Phoenix railing systems you can mix and match colors, finishes, materials and accessories to create a custom look that reflects your unique style. Be as creative as your imagination allows! 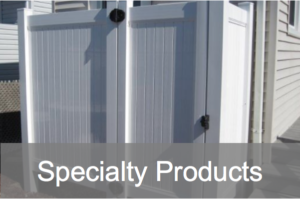 Our PVC, aluminum and specialty product lines are engineered for easy installation as well as superior strength and durability—to provide long-lasting performance with little maintenance. Let us help you create your personal oasis. 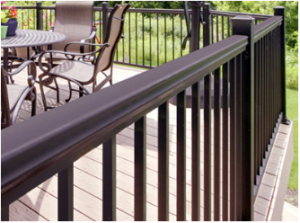 Durable and affordable Phoenix PVC railing systems are engineered for strength and designed for beauty. 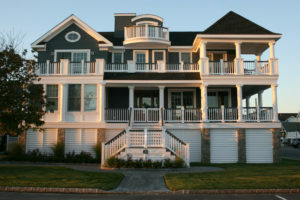 There are lots of combinations of styles and colors to make your house stand out. Phoenix offers the look and detail of wood without all of the maintenance. This upscale product uses modern materials to create an old world look that stands up to the elements. 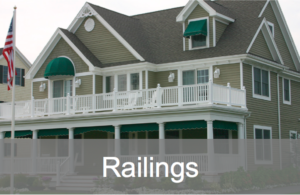 Phoenix offers aluminum railing systems that are as strong as they are elegant for any residential and commercial application. Available in black, white and bronze. 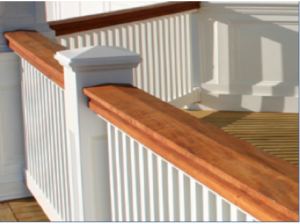 Phoenix Mahogany and PVC Rail System combines beautiful natural wood top rails and the low maintenance vinyl balusters. It is the perfect combination. We were the first to do this. 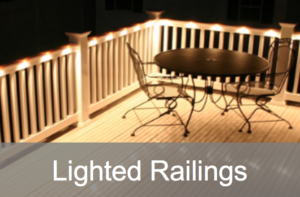 Phoenix Manufacturing was the first to combine patented low voltage and LED lights into a railing system for a distinctive look that adds charm and elegance to any space. We call this line our Ambience. 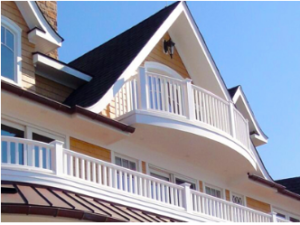 Phoenix has a complete line of designer PVC railing systems to complement your home. Choose from twelve patterns to add a special charm and personal touch to your home. 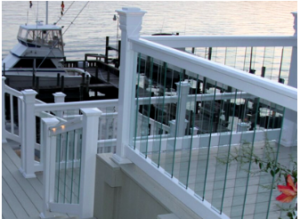 Phoenix glass railing systems incorporate glass panels with vinyl rails for a sophisticated look for decks and balconies. A great choice if you want an unobstructed view. 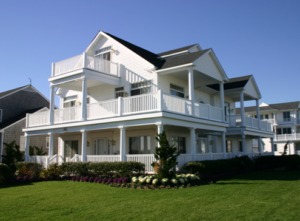 Phoenix cable railing systems enhance the beauty and value of both residential and commercial properties. It’s the sophisticated choice of many designers these days. 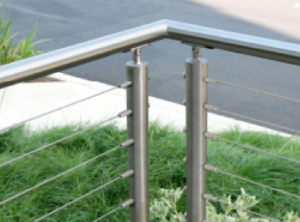 Phoenix can help decorate dream homes and commercial spaces with modern stainless steel rails. Stainless steel is durable, beautiful and safe. Phoenix offers excel woodgrain PVC railings in five colors (walnut, gray, sand, olive and white) to add the perfect touch to homes. Glass and black aluminum balusters are available too. 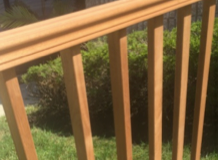 Phoenix got its start designing cedar railings and we still offer wood as a choice for those who love the look and feel of real wood top rails and balusters. 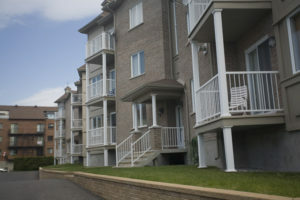 Phoenix provides railing systems for use in commercial applications like office and apartment buildings. 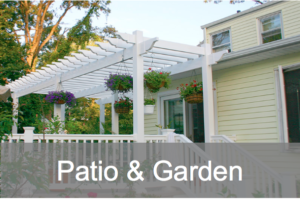 Explore all of the design options available to transform exterior spaces.